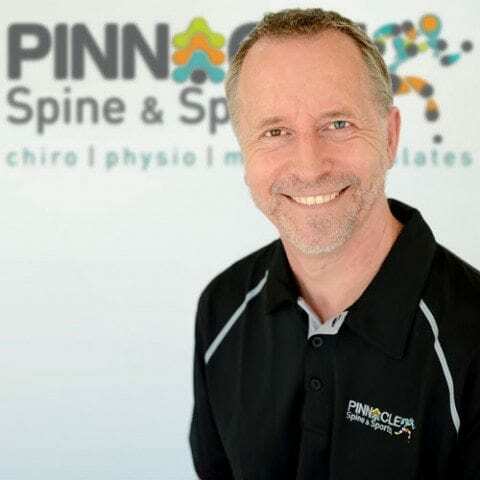 Eric has over 15 years experience as a remedial massage therapist, and upon joining us in 2012 quickly established himself at Pinnacle Spine & Sports as a very skilled and effective practitioner. Whether you’re after a firm, deep tissue massage to iron out those knots and persistent tension, or a more gentle and relaxing approach to unwind and de-stress, Eric can easily accommodate. He frequently utilises active, passive and resisted stretching techniques to increase the mobility of the area being treated, along with advising on self-care exercises to continue the improvement after the massage has ended. He has a particular interest in treating sports injuries and helping his patients return to full function as quickly as possible. Having completed a Diploma of Sports Massage (DipSport), Eric frequently treats sports injuries for athletes of all varieties from football, soccer and cricket players through to dancers, recreational cyclists and even lawn bowlers. If you’re not sure whether massage is right for you, call or email the clinic and Eric would be happy to assist in helping you decide the best course of action for your condition.